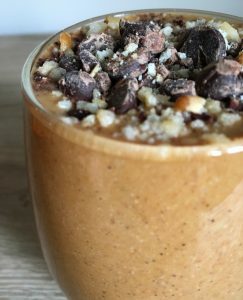 Now that its Fall; my absolute favorite season of the year; I would like to introduce to you my version of a simple pumpkin smoothie. 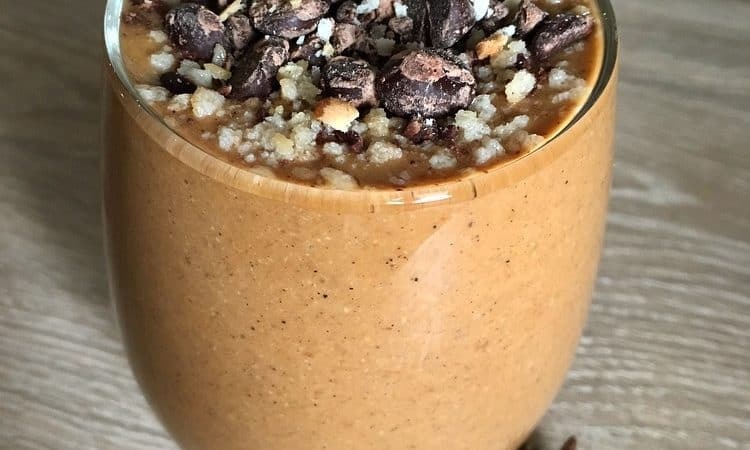 This smoothie recipe will make you feel warm inside 🙂 As soon as September hits; places automatically drop their latest pumpkin product whether it be a pumpkin latte at Dunkin Donuts or pumpkin scented candles at Bath & Body Works. Pumpkins are everywhere! Tiss’ the season my friends to embrace all things pumpkin. I’ve never been a huge fan of pumpkin flavored foods or beverages but I figured I would explore the flavor since so many people are. One thing I am excited about is going pumpkin picking with my husband this year as newlyweds. Maybe once I do that I will look into incorporating more pumpkin recipes! Combine all ingredients into a blender and blend until smooth. I use my Ninja and it works phenomenally; Highly recommend. And…There it is! Pour this beauty into a glass and enjoy! Substitutions: If you don’t have almond milk; you can use coconut or soy milk unless you want dairy then there is whole milk. If you don’t have allspice; substitute with nutmeg. If you happen to have fresh pumpkin puree that’s even better than canned pumpkin puree. Fresh is always better! Let me know if there are any other questions below in the comments. Previous Post Banana Nut Raisin Muffins – Ripe Bananas You Aren’t Going Anywhere!